“Does FaceTime use data?” many iPhone users have this question in mind and are reluctant to use the app in fear that their cellular plan minutes are being used. And of course, with the news that iOS 11 will also allow users to make group FaceTime calls, one has to make sure that their data plan doesn’t end up being used up completely with the app. The bad news for Apple consumers is that FaceTime does use data. However, the good news is there is a way to turn off the usage by following a few simple steps. Does FaceTime Use Data or Wi-Fi? If yes, then how much? 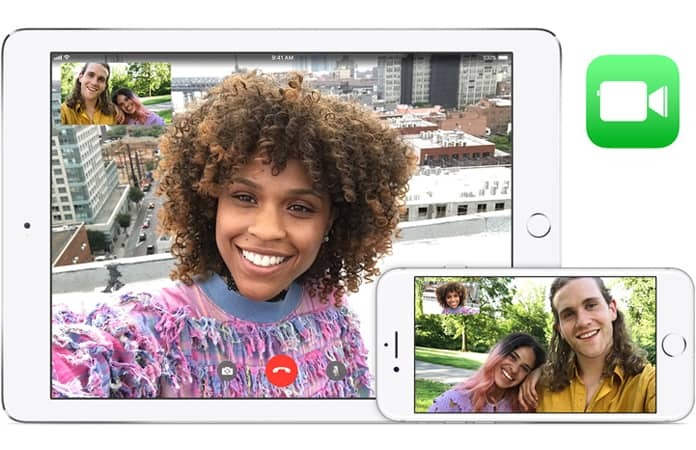 Although, FaceTime is a free app that allows users to make iPhone to iPhone video/audio calls, it does use data when Wi-Fi connections are not available. On the other hand, if you do use cellular data for FaceTime, then don’t worry – it doesn’t use excessive amount of data, especially if you make short calls. How Much Data Does FaceTime Use on iPhone and iPad? Don’t worry! FaceTime does use data but not an extreme data. In simple words, you are not going to break your data plan on a five minute FaceTime call and chances are you are going to use up a lot if you spend most time on games and social media. On the other hand, if you are planning to make a long-duration call, then maybe its best that you are connected to FaceTime via Wi-Fi network. 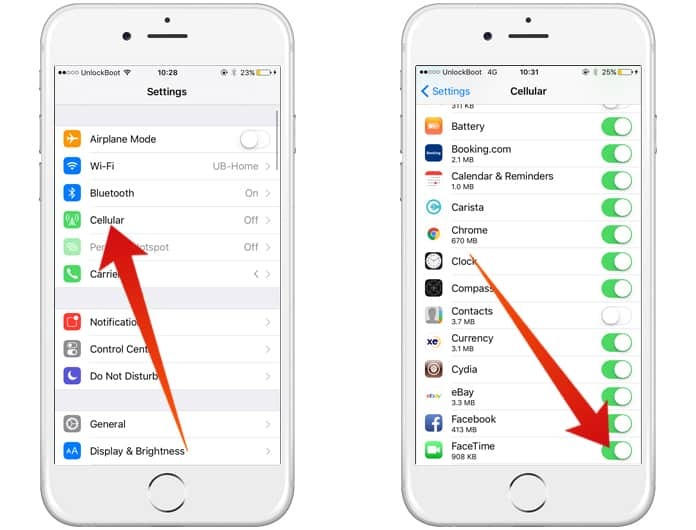 How to See FaceTime Cellular Data Usage for Calls? If you are using your data plan for FaceTime calls, then there is a way to see how much data is used on every individual call. Simply open the phone or the FaceTime app. In the phone app, tap on Recent while on the FaceTime, you will be automatically shown the Video History. Tap on the “i” next to the contact you spoke with via FaceTime. 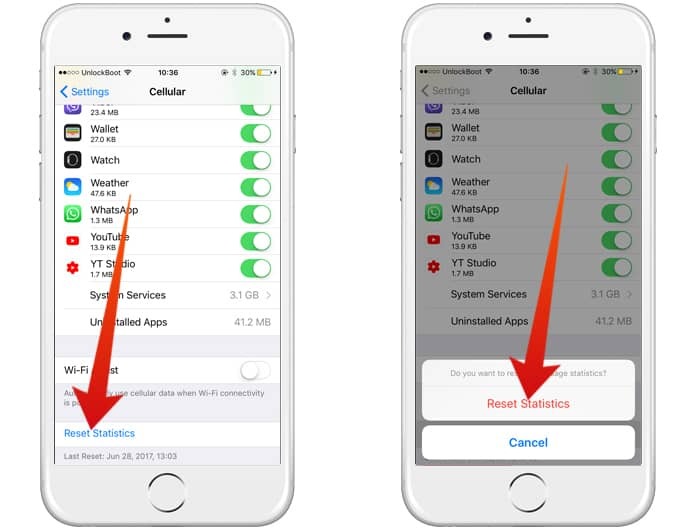 This will allow you to see the duration of your call with a specific contact and assess if the FaceTime call used too much data or not. 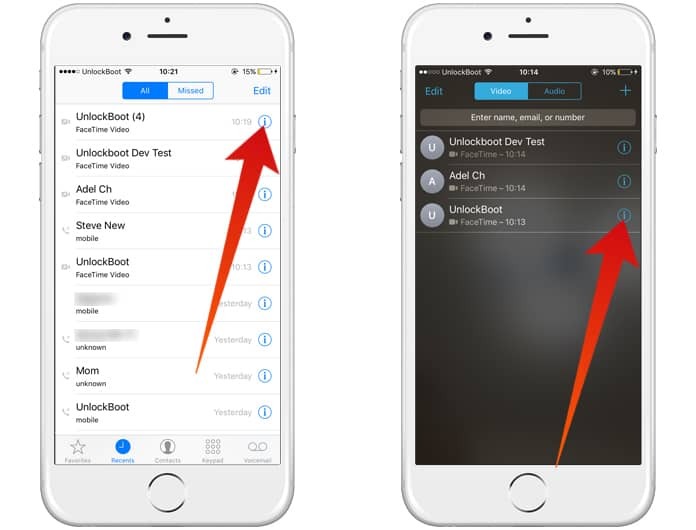 How to See Overall FaceTime Data Usage on iPhone or iPad? It should be noted that to find out overall FaceTime data usage, you must have FaceTime app downloaded on your device. To check how much data is used, simply go to the Settings app and tap on cellular. Scroll down until you see FaceTime. Below the name, you’ll see the apps data usage. 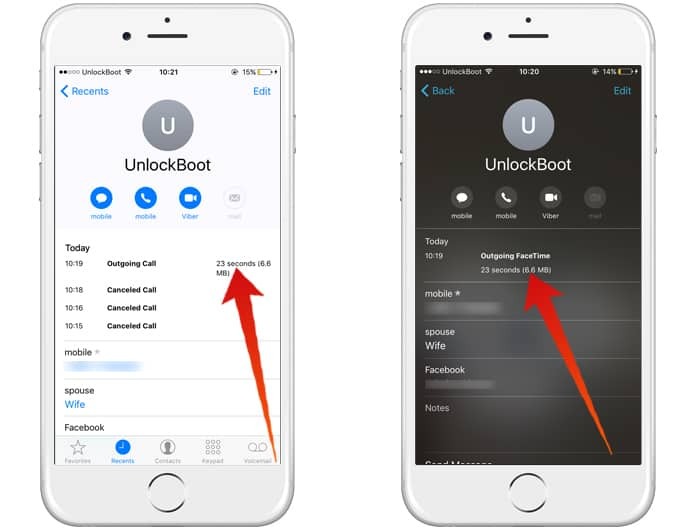 Please note: iPhone doesn’t automatically reset your data usage, which means that each time your plan is reset; you also need to manually reset your data usage for FaceTime. If you have never reset your data usage, the amounts you are seeing are for the life of your device and if you have done it a few months ago, then you are seeing the data usage for the time period you last reset it. The good thing is there is a way to see when you last reset your data usage so you can track it accurately. Scroll down and find Reset Statistics. You will notice that below the Reset Statistics option, the date and time of the last reset is visible. To reset all of your data usage, tap on Reset Statistics. If you find FaceTime using too much of your data then don’t worry! 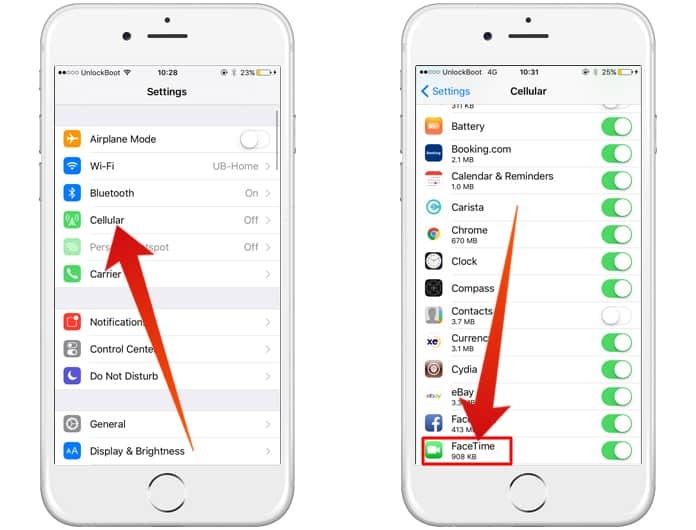 You can easily disable FaceTime to run in cellular data after which it will only run when you have a Wi-Fi connection or when a FaceTime call is answered. Scroll down until you find FaceTime. And with that, we are sure you have managed to stop data usage of FaceTime or have finally understood how much cellular data is being used.